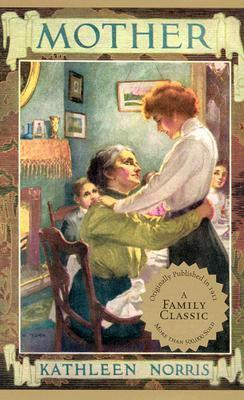 If you check out any books lists with the title, “Best Books of Childhood” or “Top 100 Classics,” you will find Louisa May Alcott’s Little Women somewhere in the top ten. I read the binding out of that book and Alcott’s many others when I was a young girl all the way through the teenage years. Then one cozy day close to a Christmas in my mid-twenties, I remembered the opening scene of Little Women, when Jo says, “Christmas won’t be Christmas without any presents,” and I had an instant longing to get reacquainted with some of my favorite literary people of all time. I snatched the book off the prominent living room bookshelf, where it has sat for my entire adulthood, still a bit ragged and adorned with blue crayon thanks to a younger sister. I got through the first few chapters while fighting back the thought, “I should be enjoying this more. I love this book, don’t I?” The sad truth is, Little Women did not speak to me like it did when I was younger. Maybe it was the simplistic language or the situations I already knew so well but no longer related to, but I put the book down before even getting to the part when Amy burns Jo’s manuscript. It was a sad day. Since then, I’ve made it my mission to find books that grown up fans of Louisa May Alcott will love. I was so happy to find that these books do exist! And I’m constantly trying to find more. Here is my running list so far. Mother – I read this just last week and found it to be both sweet and relevant to today. Written by Kathleen Thompson Norris in 1911, it tells the story of Margaret, the oldest daughter of a large family who longs to get away from her small-town, family life and make something of herself. By a seemingly fairy tale twist of fate, she is whisked off as a secretary to New York City. As the story develops, Margaret becomes a modern thinking woman, and her mother seems to live a sad life. Margaret’s wisdom grows, however, and this book becomes a tribute to motherhood. It is old fashioned, and I loved ever bit of it. A Girl of the Limberlost – If you have not discovered Gene Stratton Porter’s best novel, you must rush to read this classic right away! Elnora Comstock is one of my favorite literary characters. Though poor and unloved by her grief-hardened mother, Elnora’s strength of character and determination to learn despite the odds against her makes this novel a classic American coming-of-age story. The Making of a Marchioness – Who knew the famous writer of The Secret Garden and The Little Princess also wrote for adults? Frances Hodgson Burnett’s adult novels still follow the trend of a poor girl finding unlikely happiness, which I don’t mind because it’s kind of comforting when you have expectations of a writer and your expectations are met. 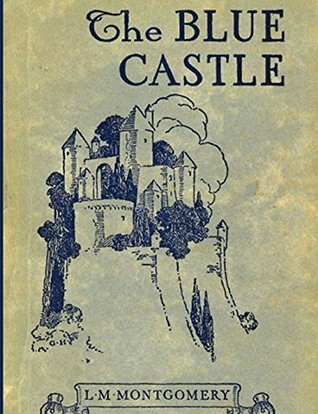 The Blue Castle – L.M. Montgomery’s best book for grown ups may feature a little too much rebellious spirit to be classified as Alcott-esque, but I’m pretty sure if you like Alcott’s books, you’ll like this one, too. Daddy Long Legs and Dear Enemy – Jean Webster’s books are written as letters, so style-wise they differ a good bit from Alcott, but in character and theme, they are very similar. And here are a few on my-to read list that I suspect will fall into this category as well. I hope you find something on this list that makes your Fall reading a delightful plunge back into old-fashioned books. I still love Little Women, though not quite as much as Eight Cousins and An Old-Fashioned Girl. Thank you for this great list – I am immediately putting the Kathleen Norris book on my reading list. I hope you will enjoy Emily of Deep Valley. I have read the Betsy-Tacy books so many times (and have copies of them), but I think Emily is my favorite. I am so looking forward to it! I can’t believe neither of the library branches I go to has the Emily books. Looks like I’ll just have to break down and buy them. I loved Little Women when I was girl. I haven’t tried to read it as an adult and now I’m not sure I want to. lol The Blue Castle is one of my Favorite LM Montgomery novels. and Valancy is one of my favorite characters. Thanks for the suggestions!